You know something important is happening in the world of predictive analytics applications when Big Blue announce a $1bn investment in developing and commercialising their latest technology. At the same time announcing a move to massive new, dedicated premises in New York. The new system enables business professionals to get predictive answers to questions like those below in a fraction of the time, and potentially more accurately, than if they had gathered data and thought it all through themselves. Why is it called IBM Watson? 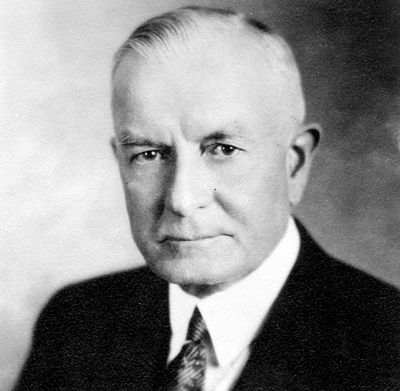 IBM Watson is named after IBM’s first CEO, at the time acclaimed as the ‘world’s greatest salesman’, Thomas J. Watson. Between 1914 and 1956 Watson grew the organisation into an international leader. Working with punched card tabulating machines at the time he could hardly have imagined a ‘cognitive technology that processes information more like a human than a computer’. 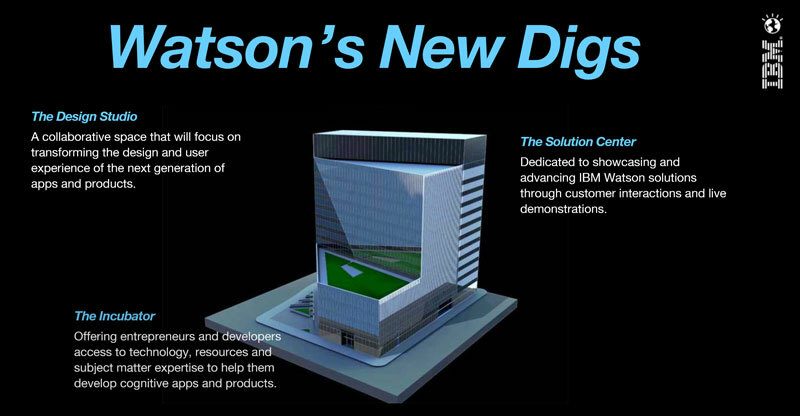 IBM Watson website – more Silicon Alley than IBM Enterprise? It could be significant that the dedicated IBM Watson website is rather removed from the normal visual appearance and tone of the IBM enterprise, more Silicon Alley. The page about the new, New York headquarters makes it clear that IBM are aiming to work together with developers and entreprenuers to create new applications using Watson. The new offices include a design studio, solution centre and incubator that are clearly designed to foster a collaborative approach. 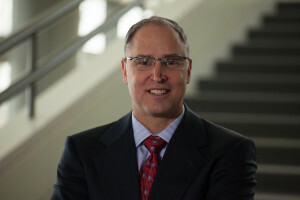 Watson is different from previous commercially available predictive analytics solutions. It’s a super computer capable of artificial intelligence. It’s cognitive ability means Watson can understand questions asked in natural language and then crunch structured and unstructured data, faster than the human brain, to find the answer. Put simply, Watson will help all business professionals, find the answers they are looking for in the easiest way possible. Whether they are involved in marketing, sales, operations, finance or human resources Watson will play a role. It removes the need for users to have data ready for analysis, a clear idea of the type of analysis needed, and the skills and time to build a model for analysis. Watson will do all this for them. What technology does Watson use? Whilst the user interface of Watson is simple the underlying technology is of course as sophisticated as it gets. A unified analytics and data experience on the cloud, hosted on SoftLayer and available through the IBM Cloud Marketplace. It will also be available on IBM Bluemix for developers and ISV’s. When is IBM Watson available? Watson analytics will begin to be available in beta test form from November 2014. It will be a cloud-based service with free and premium services.